Piet Geusens is professor em. Rheumatology at the University of Maastricht (Netherlands) and the Hasselt University (Belgium). 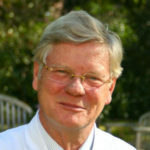 His main interest is 1/ fracture prevention in the context of pathophysiology, epidemiology, fracture liaison service, risk evaluation, HRpQCT, differential diagnosis and treatment, including participation in RCTs, and 2/ osteoimmunology, especially HR-pQCT imaging of joints in RA and study of new auto-antibodies in RA and SpA. He published extensively on these topics, and is further involved in several longitudinal studies, for which we look for new collaborators.